NOTOX BOX (GIVEAWAY CLOSED!) - Live It. Do It. Can you guess what came in my Notox Box this month? Notox box is a monthly lucky dip. 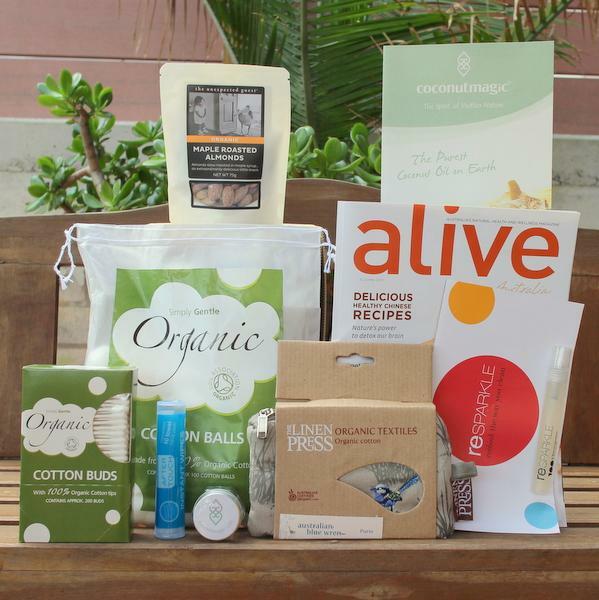 Its a box that arrives on your doorstep full of samples of organic and natural goodness. Its a surprise and you never know what you are going to get. The idea of Notox box is to introduce the community to local and fab products that will assist in your health, wellness and leading a low-tox lifestyle. Its a great taster for products that you may never have come across before and you get to try them as a super affordable price delivered to your doorstep. Then, if you love something, which I’m sure you will, you can grab it online at www.notoxbox.com.au. So I will give you an idea of what in a typical box. Cool huh? I would definitely recommend checking these out and grabbing a box to try yourself, or even better, pay it forward and send one to a friend! Such a nice surprise and a great way to introduce a more natural way of living to your buddies and family! Simply leave a comment below telling me why you would love to win a NOTOX BOX. Be a follower of Choose life, live it, do it via Google Friend connect just on the right of our site. Like NOTOX BOX on Facebook. Leave a comment for each! The lucky winner will be announced one week from now on Wednesday the 17th April, 2013! GOOD LUCK! THE WINNER IS Kerry Santillo!!! ENJOY! Terms: This giveaway is open to all Australian followers of Choose life, live it, do it. All entrants must provide a first name along with your comment entry and ensure I can contact you via your blog/social media or email (you can subscribe via email if you don’t want to list your contact details publicly) . Once the giveaway has ended and winner is chosen they will be contacted via email and put in touch with the sponsors. Giveaway items are not distributed by Choose life, live it, do it, alot of them are directly distributed to the winners by the sponsors themselves.